When the Cold War ended, some people called it the “end of history.” Capitalism and liberal democracy had prevailed. Later, when the West clashed with radical Islam, Americans realized history hadn’t ended after all—at least not abroad. Now, in How Marx Can Save American Capitalism, Ronald W. Dworkin shows us that even the home front is in play and capitalism and liberal democracy are threatened. 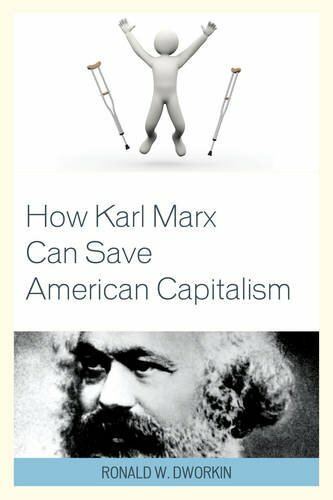 Dworkin uses Karl Marx to tip the balance in their favor—a paradox, as Marx was the sworn enemy of capitalism and liberal democracy, but also logical, as Marx knew the weak spots in capitalism and democracy better than anyone. In the past, capitalism’s weak spots were obvious: sweatshops, workhouses, and hunger. The twentieth century welfare state saved capitalism by fixing them. Today’s weak spots are less obvious; they don’t even seem related— mass loneliness, a declining birth rate, young people postponing adulthood, and workers using sleep aids to function on the job. Yet they pose the same risk to capitalism that child labor and horrid factory conditions once did. Marx’s ideas applied to contemporary America show how they are all of apiece. Saving capitalism demands a third way—not rigid Republican conservatism or blind Democratic state interventionism, but a new politics in which the state focuses laser-like on advanced capitalism’s unique threats to private life, while leaving much of the free market intact.